The U.S. Mint in San Francisco began producing proof coins in 1968 – and to mark its 50th year of minting America’s “best of the best,” the mint released a FIRST-EVER set of 10 stunning Reverse Proofs – including eight coins never before issued in this distinctive finish! But while the entire set was supposed to be struck in Reverse Proof condition, with shimmering devices and frosty fields, something went wrong. 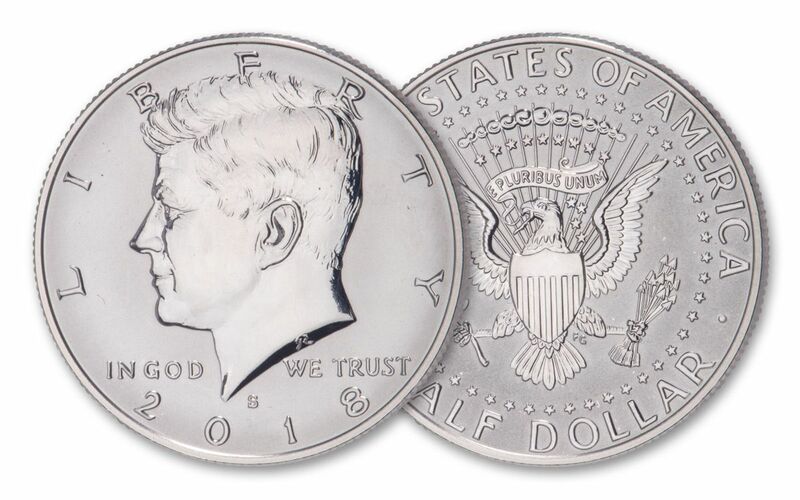 Of the sold-out mintage of 200,000 sets, a small number escaped the mint with a “Light Finish” Kennedy Half Dollar – an error coin resulting from an obverse die not being prepared properly. 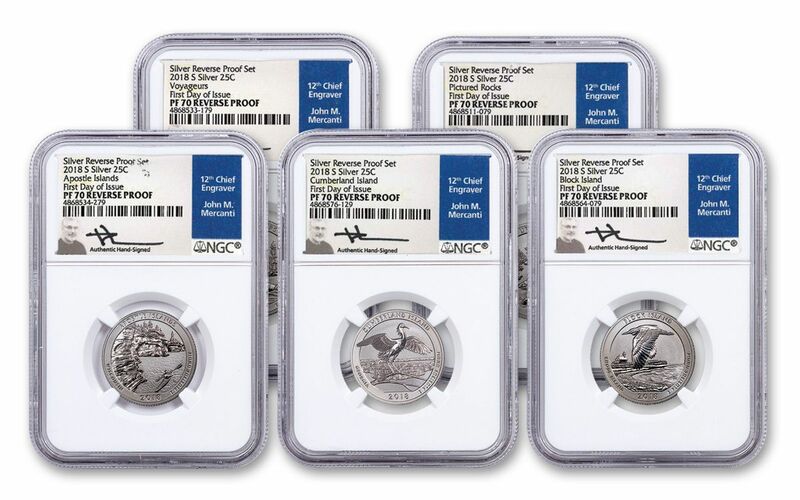 You can get one of these error sets match-graded by the Numismatic Guaranty Corporation (NGC) as being in perfect Proof-70 (PF70) condition, certified as a First Day of Issue (FDI) coins, and sealed with the hand-signed signature of John Mercanti, 12th Chief Engraver of the U.S. Mint. First-Ever Reverse Proof 2018 Lincoln Cent. First-Ever Reverse Proof 2018 Jefferson Nickel. Five First-Ever 90% silver Reverse Proof 2018 America the Beautiful Quarters™ – Michigan, Minnesota, Wisconsin, Georgia and Rhode Island. First-Ever Reverse Proof 2018 Native American Dollar with Jim Thorpe design. The very best in U.S. coinage, Proof finish coins are the ultimate in quality, beauty and value – double-struck under intense pressure to bring out their intricate details and dazzling luster. To achieve a Reverse Proof effect, the dies and planchets are specially prepared so that multiple strikes result in frosty fields and shimmering details – the complete opposite of their traditional proof finish counterparts – and far more scarce! A good way to tell the difference is to imagine the difference between a photograph and its negative. When held right, a standard proof appears like a black-and-white photograph while a reverse proof takes on the appearance of its negative. The visual effect is remarkable! This first-ever 50th Anniversary Reverse proof Set is a must-have for any fan of the mint’s annual releases. Only 350 are left in our vault, so secure yours now! FEATURING REVERSE PROOF VERSIONS OF AMERICA’S CIRCULATING COINS – To celebrate 50 years of Proof Coin production in 2018, the San Francisco Mint released a Silver Reverse Proof Set. Each set containing 10 coins, including the FIRST-EVER Lincoln Penny, Jefferson Nickel, Native American Dollar and all five American the Beautiful Quarters in a Reverse Proof finish! “LIGHT FINISH” KENNEDY HALF DOLLAR ERROR COIN – These sets contain a “Light Finish” Kennedy Half Dollar – an error coin resulting from an obverse die not being prepared properly. 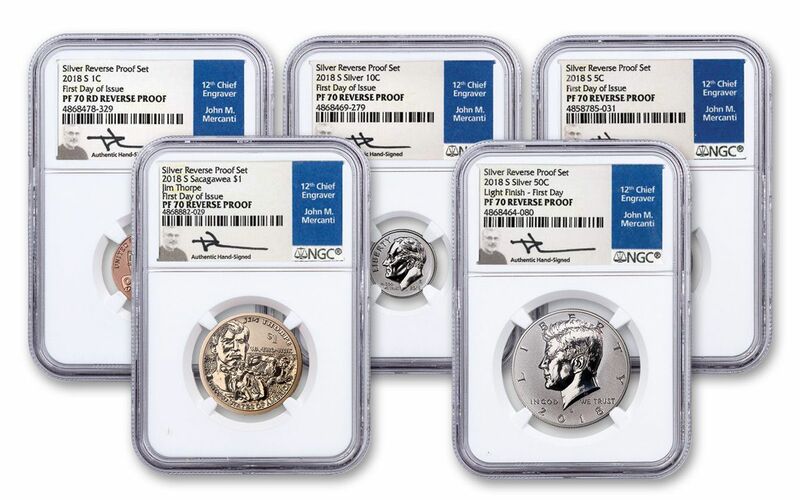 GRADED IN PERFECT PROOF CONDITION – Each coin in the set has been graded by the Numismatic Guaranty Corporation (NGC) as being in flawless Proof-70 (PF70) condition, a distinction that means your perfectly-graded proof will have ZERO imperfections – showing all features and fields exactly as the engraver and mint intended! KEY FIRST DAY OF ISSUE CERTIFICATION – In addition, your set will be certified First Day of Issue (FDI) by NGC – independent authentication that your set was released by the mint during the premier day of the series' issue. U.S. LEGAL TENDER – Each coin in this set is legal tender in the United States. Five of the coins are America the Beautiful quarters. The others are a dollar, a half dollar, a dime, a nickel, and a penny. ONE YEAR ONLY MINTAGE – This set was specially struck only in 2018. 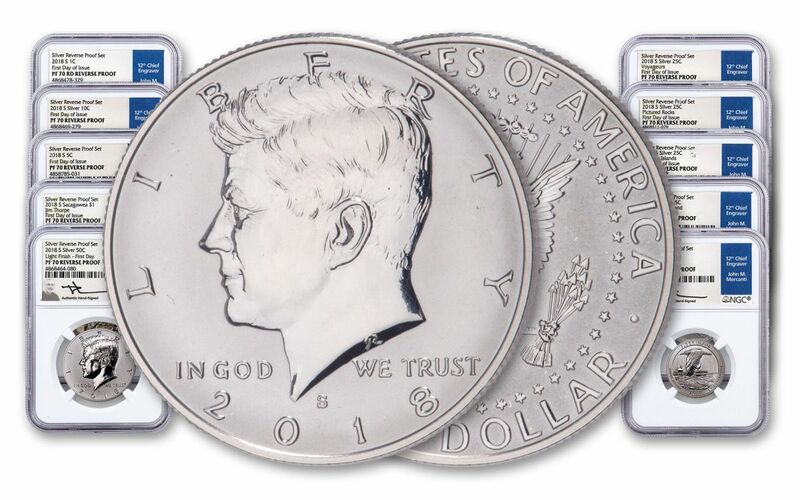 If you are looking for a way to appreciate the stunning designs of America’s coinage, don’t miss your chance to own this 2018 San Francisco Mint Silver Reverse Proof Set with its eight first-ever coins and “Light Finish” Kennedy Half Dollar error coin. Order now at GovMint.com!